No winners in war. Just soldiers fighting, learning the taste of blood that can’t be forgotten. A powerful poem. Please read the powerful poetry of a talented writer. You are welcome Tina. I served for 15 years and I lost good friends. I can even fathom even knowing what that feels like 😦 Thank you for your service. Thank you for your gift of writing. Thank you. 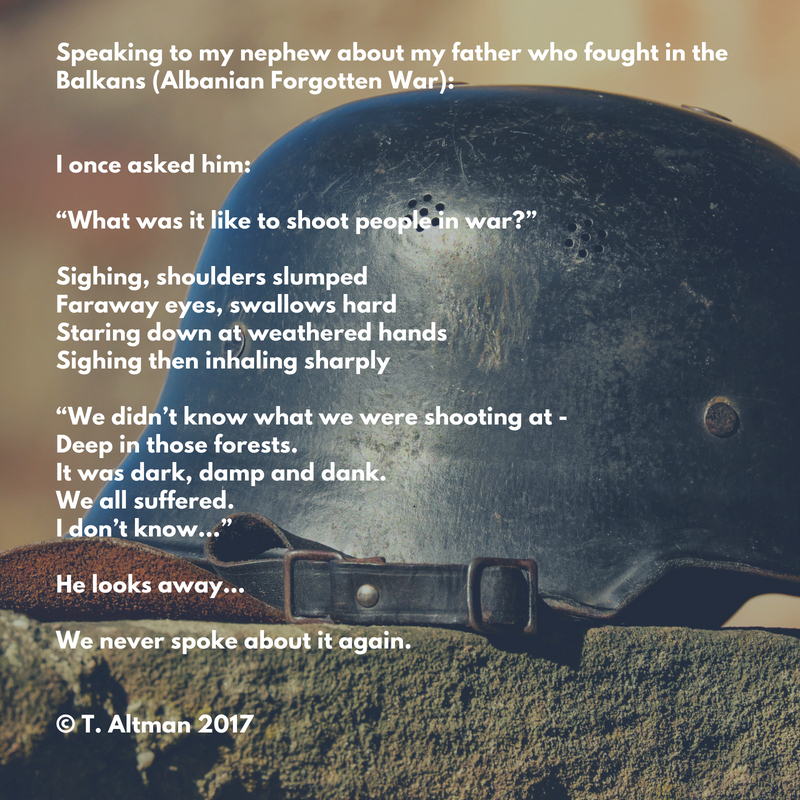 This is a shared experience, talking with friends and family members who have served – found this very powerful, thank you.